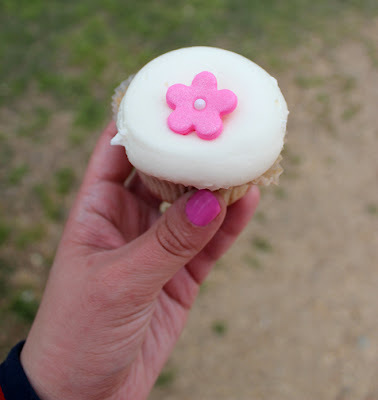 On my recent trip to Washington DC, I made sure to visit Georgetown and check out the two most popular cupcake bakeries; Georgetown Cupcake and Sprinkles. 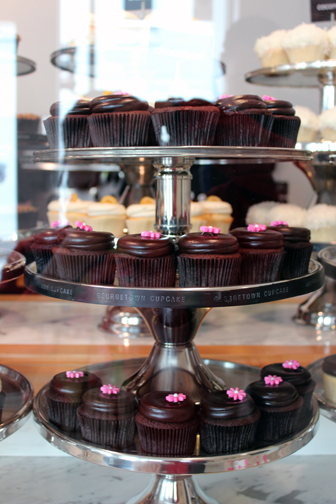 Georgetown Cupcake was founded by sisters Katherine and Sophie, who also have a series on TLC called DC Cupcakes. I waited in line for about a half hour before being able to get cupcakes - the cupcakes are $2.75 each. • The "signature swirl" looked more like a blob. I don't know if I was at Georgetown Cupcake on an off day or what, but I really do not understand the hype. Sprinkles was founded by Candace Nelson, who is now also a judge on Food Networks hit series Cupcake Wars. The cupcakes are $3.75 each, and I was able to walk right in and purchase cupcakes. • The presentation is very chic and aesthetically pleasing. • You couldn't eat the retro dot on the cupcake - which I didn't understand since Candace always complains on the show if there is something non-edible. you must have hit GC on an off day! because they are usually divine! although the local up cake shop where i live could give them a run or their money!! glad u liked sprinkles! I love cupcakes! I never had the sprinkles ones but the georgetown ones were good when I tried them but maybe I need to re-test. I really love Baked by Melissa in NYC which are bite sized cupcakes! They pack a lot of flavor and are less than 57(?) cal each. I'm so jealous! We don't have a cupcake bakery near our home. That is unjust...I need a cupcake! Georgetown cupcake normally has great cupcakes. I've never had a cupcake from Sprinkles, I'll need to pop in! Georgetown cupcakes are normally wonderful! My ranking of cupcakes in DC would be Georgetown, Sprinkles, and Crumbs! I recently had Sprinkles in Chicago and thought they were delicious! And I loved the presentation too- they shop was adorable as well! I can't believe Georgetown cupcake wasn't good! All the hype! so sad. Those cupcakes at sprinkles look AMAZING! I've haven't been to Sprinkles yet, and think Georgetown Cupcake is just okay. My fave is Lavender Moon in Alexandria. I did a face off in Houston between Crave, Celebrity and Sprinkles. Have to say that Celebrity was the best - moist, inventive flavors and good icing. Sprinkles was second. Crave was dry and I couldnt understand the hype. Im still searching for the best in Sacramento. At the moment, Cupcake Craving is hitting high marks. Inventive, good fillings, never the same flavors and moist cake - yum! They both look way cute. I've heard such good things about DC cupcakes. Shame they didnt live up to the hype. Cute, cute, cute....glad you are having a great time. i love you for writing such an honest review for georgetown bakery. i have heard so many good things, but i wasn't convinced. you surely know your cupcakes! We had Sprinkles the last time I was in Georgetown too! Yum! Have you tried Baked & Wired? i watch dc cupcakes all the time! can't believe that u waited for so long in line and all u got was a dry blob of cupcake! Hmm that is strange! Of course I'd want the moist cupcakes! I love this post!!! I've been on a cupcake mission for 3 years. I have made Sprinkles cupcakes...you can actually buy the mix at Williams-Sonoma and they come with an edible retro dot (I have no idea why you couldn't eat yours - weird) along with an icing recipe. They were absolutely deelish. 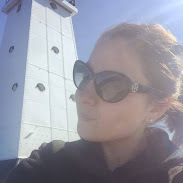 :) Hope you had a great time in DC - that is my hometown!! I have not been to Sprinkles but I am a G-Town cupcake fan all the way!!!! We've had them overnighted before. As a frequent DC cupcaker i completely agree!! Sprinkles is usually #1 with everyone i talk to. We have all had your experience (including myself ...numerous times)at gtown cupcakes,so sorry to say its not a fluke. Seriously if you thing gtown cupcakes are good and havnt tried sprinkles yet, you will be amazed. The Georgetown Cupcake might have tasted like cream cheese frosting b/c just maybe it was. (most of their cupcakes have cream cheese frosting not butter cream) I love GC and when I had Sprinkles red velvet the other day, I found it very good but the frosting didn't taste enough like cream cheese! The best cupckake for peanut butter and chocolate lovers is BY FAR GC's Peanut Butter Swirl. Of their 3 pb and choco variations, it's the only one with peanut butter in the middle. It is amazzzzingggg!! !